As the buzz around Robotic Process Automation (RPA) continues to grow, Reveal Group remains at the forefront, setting customer service benchmarks and shaking up the industry. To Reveal Group, success in this era of disruption calls for significant productivity improvements, dramatic reductions in headcount and scalable processes underpinned by technology, without which CIOs and their organizations face a genuine risk of losing relevancy. A unique approach to RPA, complemented by their proprietary software, has enabled Reveal Group to corner an untapped area of the market. Already, dozens of clients have dumped their existing programs to adopt Reveal Group’s approach to operational improvement. Integrating their industry-leading experience with innovative Operational Excellence software is enabling automation to be extended to new areas of the enterprise and the associated benefits to be quickly harvested. Managing Partner and Founder of Reveal Group, Ian Crouch, labels organizations that are not embracing RPA as out of date and negligent, putting their organizations at risk of a slow decline. Reveal Group is transforming today's organizations, which are being challenged by disruptors, into tech-first enterprises. "We give companies access to the technologies and innovations they need to embrace digital transformation. 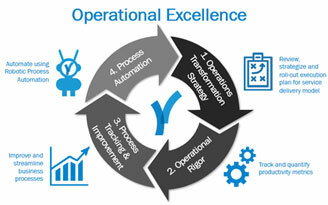 Pairing the RPA platforms of our partners, underpinned with our proprietary Operational Excellence platform, Reveal™, enables organizations to successfully deploy a large-scale, multi-skilled digital workforce to achieve their customer service aspirations while ensuring operational compliance in a manner that is scalable and sustainable." 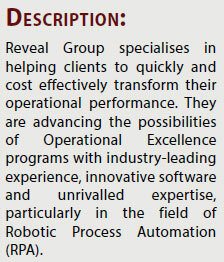 Reveal Group’s Operational Excellence platform has bolstered Reveal Group’s RPA program, and clearly set it apart from the crowd. Most importantly the Reveal™ platform enables CIOs and their organisations to ensure the benefits of IT, business improvement and RPA programs translate into bottom line savings. For organizations that have already invested in RPA, this can be a large issue because without this foresight, analytics and planning, they may not have reaped the benefits. 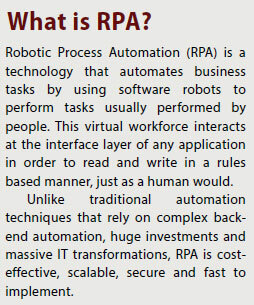 While companies can clearly see the opportunities offered by RPA, Crouch says that many CIOs are at risk of being too busy with their current responsibilities to focus on what is truly critical to organizational success. In many organizations the responsibility for business innovation is being moved away from the CIOs, but Crouch states that bringing IT and innovation back together within a company is crucial for the CIO role to stay relevant. “The challenge for CIOs is to enable and expedite business transformation, not be an impediment to it. In an age of disruption, these leaders need to be abreast of new and future technologies and where this can be successfully applied within their companies. "In order to keep-up with the pace of change, organizations need to be cutting their headcounts by 50 percent"
Reveal Group’s clients, from financial institutions to telcos, utilities, airlines, manufacturing and mining companies are seeing the significant cost, efficiency and productivity benefits that RPA can deliver. This, in turn, gives the human workforce the ability to engage in more stimulating and strategic work – an opportunity that is already revolutionising customer service as we know it. The impediments of waiting days, or weeks to open and activate a bank account, or update your telco billing details are no longer accepted. Customers don’t want to wait; they expect everything to happen as they need it. 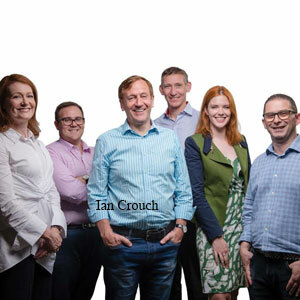 Reveal Group’s success with transformation RPA projects throughout the U.K., Europe, Asia, North, Central and South America have confirmed their status as industry leaders.